Definition : Ammonium chloride, an inorganic compound with the formula NH4Cl, is a white crystalline salt, highly soluble in water. 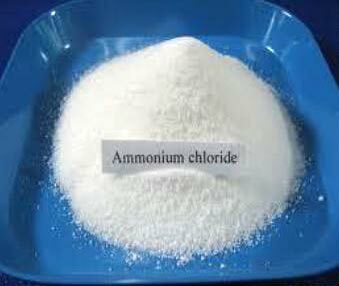 Solutions of ammonium chloride are mildly acidic. Sal ammoniac is a name of the natural, mineralogical form of ammonium chloride. The mineral is commonly formed on burning coal dumps, due to condensation of coal-derived gases. It is also found around some types of volcanic vent. It is used as a flavouring agent in some types of liquorice. It is the product from the reaction of hydrochloric acid and ammonia.